Could A 'The Greatest Showman 2' Be In The Works? Hugh Jackman Hopes So! Could A ‘The Greatest Showman 2’ Be In The Works? Hugh Jackman Hopes So! I’m just gonna go ahead and assume that you’ve seen, or heard at least one song from the 2017 hit “The Greatest Showman”… and if you haven’t then where the freakin’ HECK have you been!? Honestly, I haven’t been able to get the song “The Greatest Show” out of my head since I first watched the freakin’ thing back in 2017… not that I’m complaining. And it looks as though even more incredibly infectious, catchy and inspiring anthems could be heading our way in the near future… that is, if Hugh Jackman has any say in it. During a recent interview with BBC Radio 5 Live, Hugh Jackman himself – who, of course, plays the lead role of P.T. Barnum in the film – said he would 100% be on board if a sequel to “The Greatest Show” was ever going to happen. 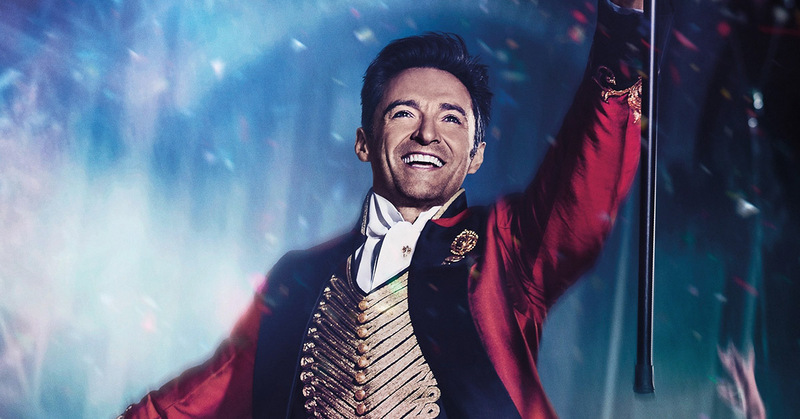 “The Greatest Showman” – which pulled in $435 million (£341m) worldwide – was made by 21st Century Fox but is currently in the process of being bought by Disney (because, let’s be honest, which movie rights haven’t ended up being bout by freakin’ Disney in the last 10 years?) meaning that a sequel could very well happen one day. However, the former X-men bad-boy actor isn’t too sure what the future holds in the long run. “…I’m not sure what they would do, but it did take a while to get the first one up, and it’s not to be underestimated how difficult it is to get a musical up and going. Alas, if you do happen to be a fan of the hit musical (and to be really honest with you, I’m yet to meet anyone who isn’t) , don’t be too disappointed that there are no official plans for a sequel just yet… as there is currently another chance for you to see Jackman perform the lyrics ‘this is the greatest show’ (my personal favorite) on the horizon. Back in November 2018, the Australian performer, to everyone’s absolute delight, announced his first EVER world tour, and it’s called The Man. The Music. The Show… I mean, come on, he’s definitely earned the right. SO, if you’ve ever dreamed of seeing the man himself up close and personal (and let’s be honest, who hasn’t) now is the chance to do so! As for me, I’m just going to sit and here and wait patiently for the official sequel announcement while singing ‘This is me’ myself for the 1000000000th time.